Not one, but two indie films titled 'Rude Boy' that have ska at the core of their coming of age stories are seeking funding support via the crowd sourcing website Kickstarter. 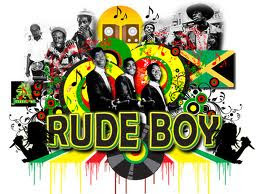 'Rude Boy' is a musically-driven dramatic film portrayal of Winston Brown, a fictional character based on real life musicians like Bob Marley, Toots Hibbert, Prince Buster and others, who lives in early 60's Kingston, Jamaica and who helps to pioneer ska music into rocksteady and then reggae as he struggles for respect among the police, rude boys, Rastafarians, and dance hall DJs. The film is an independent production that reports it has firm commitments from Danny Glover to star and Mario Van Peebles to direct. The film's producers who cite the Brazilian film 'City Of God' as an inspiration and a blue print for their film, are seeking to raise an unprecedented $1 million dollars on KickStarter before the end of September. While the fundraising goal seems like an impossible long shot, I'll be watching this project closely as I think it has some promise if its done correctly. Watch the film trailer below and please consider supporting the project. The other ska oriented film titled 'Rude Boy - The Movie' is also an indie driven drama, but takes place thousands of miles and years away from 1960's Kingston. Jamaica. 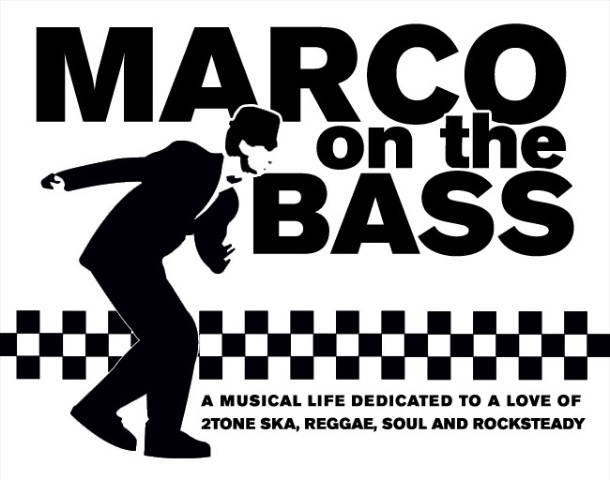 This film is set in Los Angeles circa 1984, as American ska was exploding and scooter riding mods and rudies, inspired by British 2-Tone, ruled the dancehalls and roadways of Southern California. Like the other film, 'Rude Boy - The Movie' also tells the coming of age story of Rudy, a Mexican-American teen who finds acceptance and trouble among a group of multi-cultural, ska music loving rude boys. Most of the movie is being filmed on the streets of Anaheim, Buena Park and Fullerton, California. The director Gabriel Zavala Jr. has already invested 2 years of pre-production work into the film and is about to begin a 21 day shoot. To ensure an authentic early 80's feel for the film, Vespa scooters have been secured and dance rehearsals have gone on now for a year. Locations have been picked and music has been selected for a companion soundtrack. Additionally, a professional film crew is ready to get started once funding is secured. Zavala is looking to raise the modest sum of $15,000 before September 17th. Money raised from the Kickstarter campaign will help pay for wardrobe and props, permits, insurance, location costs, crew, and gear rentals. Any money that exceeds the Kickstarter goal will go towards funding editing, promotion, festival and distribution costs. Watch the film trailer below and please consider supporting the project. I have high hopes for this film and I'm excited by the promise of revisiting the ska crazy early 80's of Southern California. Also look for an interview with the director Gabriel Zavala here shortly. I didnt know Cali had such a booming Ska scene back in 84? I'm aware of the Untouchables and of course Fishbone being around in Cali at that time period (and the Box Boys who had already split up years before).